The holidays are a great time for creating family memories and making some fun crafts. I love finding and creating kids halloween craft projects because my kids are completely into doing art projects. 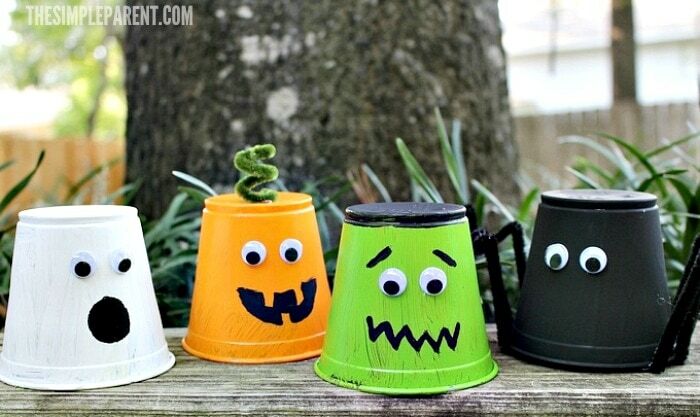 So we recently created our very own Halloween monster friends with these fun and creepy cups! To make these cups and some of our other kids Halloween craft projects, you have to be willing to get a little messy since there is paint involved. Weston and I made all four friends so there was a lot of handwashing in between cups and paint colors. But you could make just one or two of these guys and not have to deal with quite as much paint. Depending on which kids Halloween craft ideas you decide to make, you need a few different colors of paint and perhaps some pipe cleaners. The list below includes what you need to create all four cups. We’ve included affiliate links in case you need to order anything and we appreciate your support! Paint cup white and allow to dry. Glue two googly eyes on the cup. Draw a mouth with a permanent marker or black paint. Paint cup green and let dry. Paint top of cup black and dry. Using a permanent marker or black paint and eyebrows and a mouth. 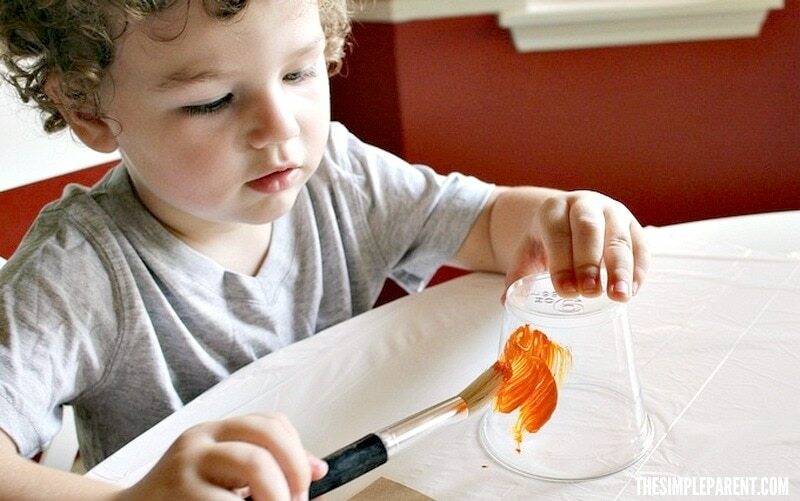 Paint cup orange and allow to dry. Use black paint or permanent marker to add a mouth. Cut a two-inch piece of green pipe cleaner. Twist around finger and glue to top of cup. Paint cup black and let dry. Add two googly eyes to the cup. 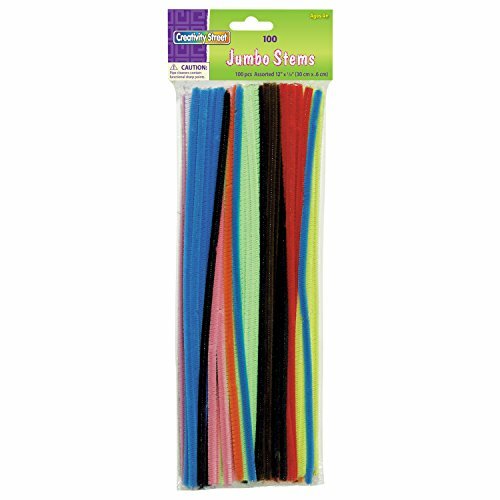 Cut 4 black pipe cleaners in half. Glue pipe cleaners around the base of the cup. 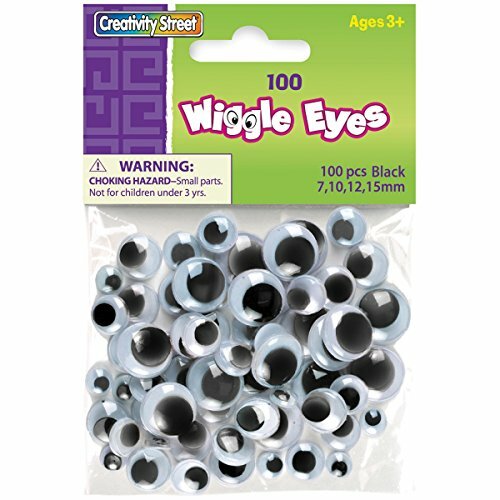 Let dry and then bend to create creepy, crawly legs! 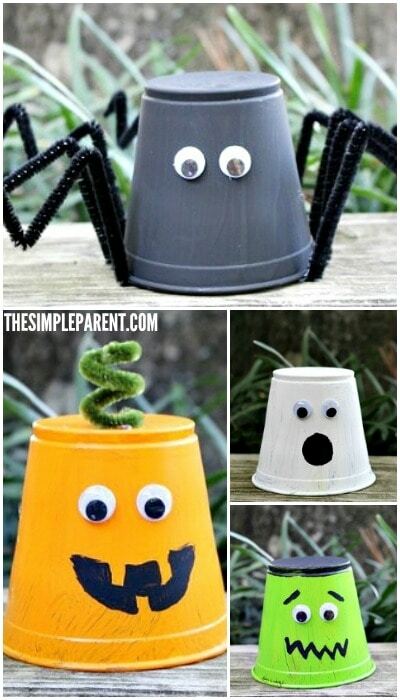 With a little paint and willingness to have some fun, you can easily make your own kids Halloween craft projects! My kids love playing with these cups once they’re dry. I think they’d also make adorable mantle decorations! Love this must try over weekend for my home and for my friends kids. Thanks for share!!!! So cute and so much fun! My son would love doing these. Oh this looks like fun! My trio would love to do something like this!! The little spider cup is adorable! What a creative and affordable way to decorate and have family fun time! These look like a lot of fun to make and they are all so cute! Think i would make the frankenstein one first. what a great idea, I’m always looking for fun craft projects, thank you! I love this! I would try the spider first. I’m going to have to try this with my son! 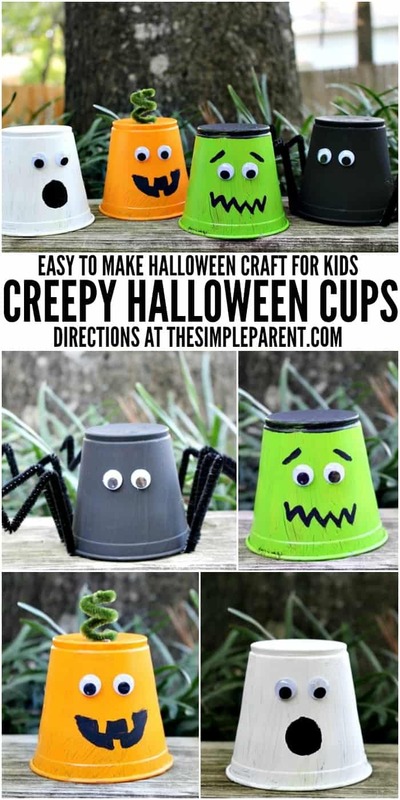 These neat crafty cups are really cute, and they do look easy enough for the kids to make also. I like this idea. i have been looking for an arts and crafts activity for the kids to make at out halloween party. i think this fits the bill! This is such a cute idea. And just easy enough for my 2 year old to do with a little help and looks like I can get most stuff from the dollar store. Thanks for sharing!